The renowned and leading independent music publishing company Peer Music will represent EXM’s new release – “Inspired”. The album features 12 Epic hybrid tracks composed by Amir Marcus and Stephan Fischer. The album was released officially on September 17th 2015. Amir Marcus and Stephan Fischer have delivered ample of promising tracks in the past that were featured in many TV series like: CSI, UFC, Arrow, Criminal Minds, Blue Bloods, Big Bang Theory and more. 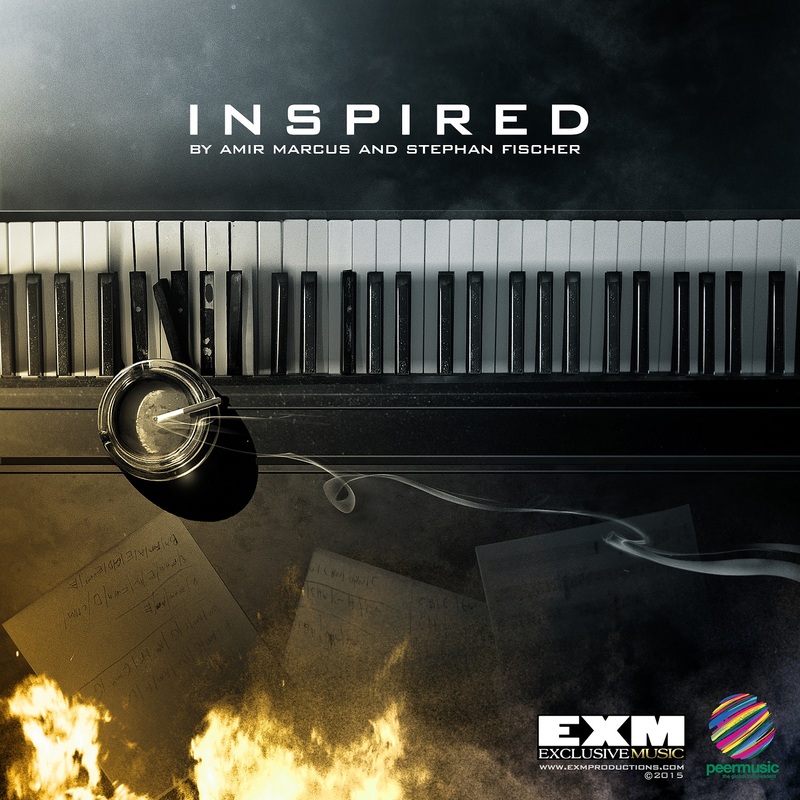 “Inspired” is their first full length album dedicated to Epic / Film music lovers. “Amir and Stephan delivering powerful and memorable tracks in this album. The dramatic and emotional elements are very well enhanced. No doubt that this music can easily be placed on the triple A trailers outlet”. Winifred Phillips (Assassin creed III, Little big planet, Shrek the third) “I was very pleased to listen to “INSPIRED” Wow! These tracks, beautifully setting the stage for a slow and inexorable build in drama and intensity. Each track is more dramatic than the next, excellent work.